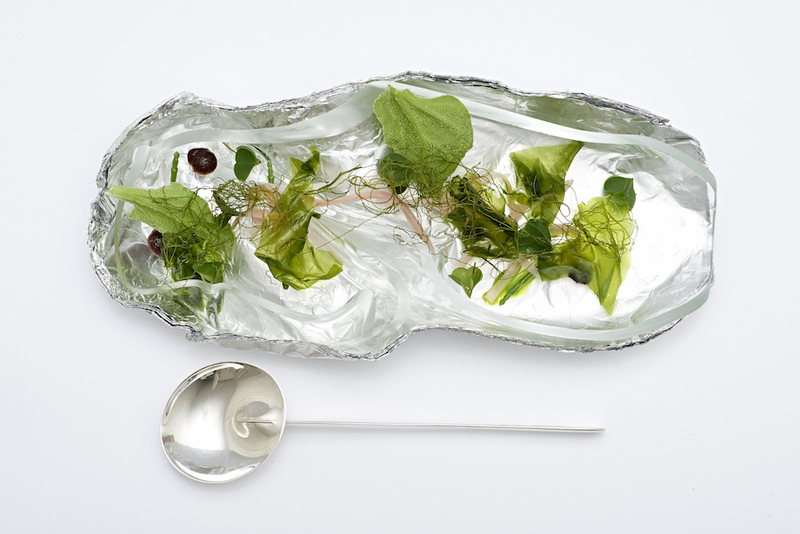 This plate is made of recycled glass from Finland and aluminium foil. This is a spiral shaped glass plate made out of recycled glass and a layered aluminium foil base. The glass spiral was shaped on an old industrial drill. The plate is a metaphor for mass production and fast food consumption, while celebrating craftsmanship, individuality and mindfulness. Techniques used: casting, cutting and polishing.